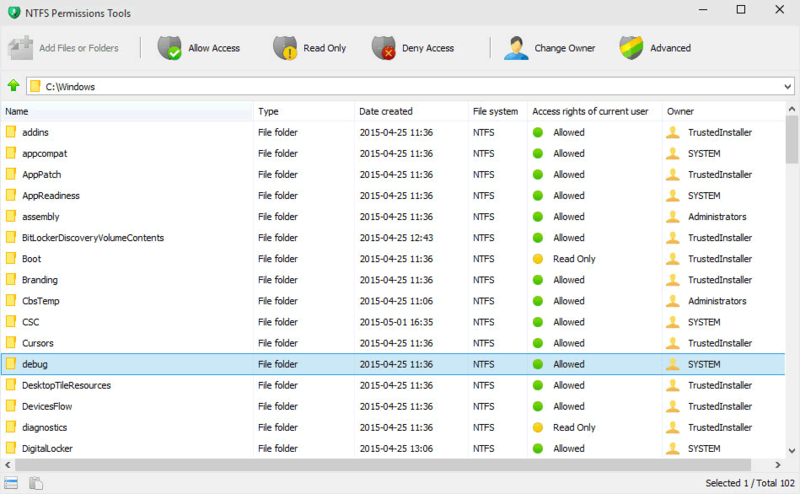 NTFS Permissions Tools is an easy-to-use way to modify, backup, and restore the security settings of files and folders in the NTFS filesystem. The program is faster and more intuitive than the default Windows management interface. NOTE: Main site offline, linking to softpedia and archive.org (thanks emoreau). How to extract: Download the ZIP package and extract to a folder of your choice. Launch NPT86.exe (32-bit) or NPT64.exe (64-bit).